Hanoi (VNA) – A special exhibition highlighting ASEAN’s history, achievements and goals was held on August 12 by the Bruneian Ministry of Foreign Affairs and Trade (MoFAT) as part of activities to mark 50th founding anniversary of the bloc. Speaking at the opening ceremony, MoFAT Deputy Minister Haji Erywan hoped that Bruneian people will have deeper understanding about the bloc’s potential and goals through the two-day event. 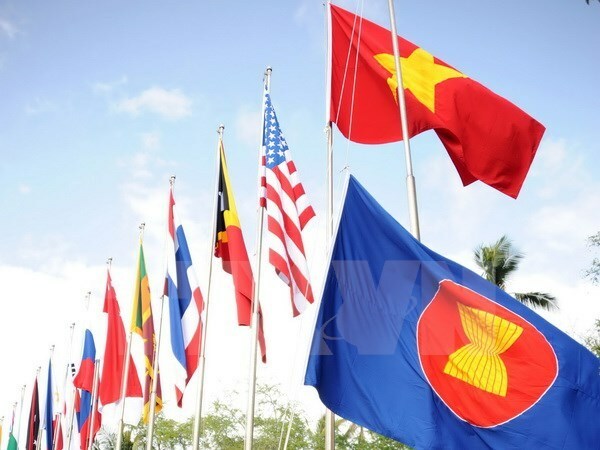 He stressed that ASEAN commits to building a community of politic solidarity and economic integration, making contributions to regional peace, stability and development. The exhibition featured 20 booths prepared by embassies of ASEAN member states and ASEAN Dialogue Partners in Brunei. A series of activities such as trade forum, education dialogue, cultural performance and cuisine fair were held in the framework of the exhibition.